At present, these massive debts are crippling the lives of more than 40 million people. They are trapped in debt until death because in 2005 Congress, led by Joe Biden, a senator at the time, changed the bankruptcy laws so the debt would continue even after bankruptcy. 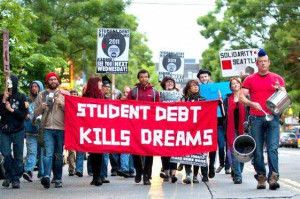 In fact, student debt collectors can garnish wages, seize social security and take assets from estates to repay the debt. 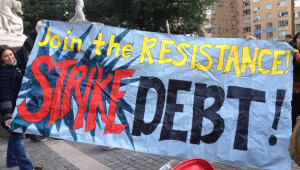 More than $1 billion has already been taken from Social Security to pay student debt. 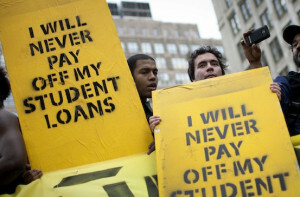 How student loan debt become the only kind of debt that cannot be relieved in bankruptcy. Over the past forty years, student loans have become increasingly unprotected and predatory. If you follow former vice president Joe Biden’s senate career, you can map virtually every step of the process. Initially, legislators made it more difficult for students to be relieved of the debt in increments by requiring delays before a graduate could declare bankruptcy and stripping protections from particular types of student loans. 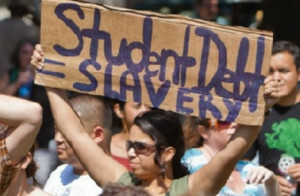 By 2005, student ,loan debtors found themselves without any rights. Biden was the Democrat with a middle-class image who provided cover and political weight to these efforts on behalf of his largest contributor, MBNA, and the finance industry generally. Not only have administrative salaries and capital improvements exploded at college campuses across the nation, their cash reserves (separate from their endowments) have ballooned over the past decade. Since the financial crisis of ‘08, the colleges have managed to build up reserves — aka slush funds — that could possibly be greater than the combined value of all college endowments. There is your lovable grandpa Biden for you – every bit the slimy, whoring b.s. artist, coward and liar that is Obama. Both should be incarcerated for life in solitary for their Crimes against humanity and college kids. I’d love to see both of those shills suffer horribly in any way possible. Perhaps better would be that they do their life sentences together with one toilet, one sink, and one cot.